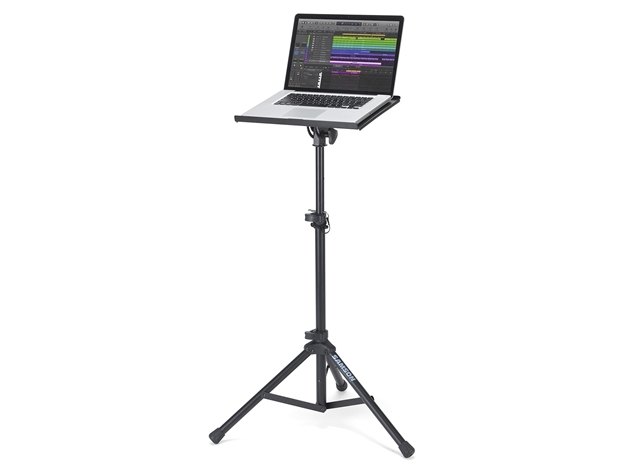 Samson’s LTS50 Heavy Duty Laptop Stand offers convenient, comfortable placement of your laptop computer in live and studio environments. The lightweight LTS50 offers a roadworthy, steel-constructed design with a sleek black finish, as well as a removable top and fold-up design for increased portability. The top part of the stand features a silicon surface to hold your laptop securely in place with tilt control for optimal positioning in any application. Adjustable up to 4.5 feet in height with locking latches and a pin lock for increased support, your can count on the LTS50 to keep your laptop right at your finger tips and ready to perform.